Welcome to ‘The Fit Space’ at Dee Physical Therapy. 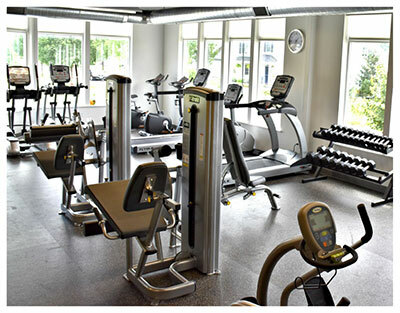 We are very pleased you have considered The Fit Space as your local fitness facility. The Fit Space is a fitness space within our physical therapy clinics in both the Hinesburg and South Burlington locations. The Fit Space is comprised of a wide range of fitness and exercise equipment ideal for both aerobic and resistance training. We offer a variety of membership options to help suit your needs including options for individuals, families, students, and senior citizens. One free orientation session with a staff member is included in each membership to go over safety protocols, learn how to use exercise equipment properly, as well as answer any questions you may have. Members and patients will be expected to work together, being mindful that patients have priority on exercise equipment as part of their therapy. In addition, we do offer personal training within both clinics to create an exercise routine tailored to your needs. Personal training rates are set by the trainer and may vary. Please visit our Personal Training page for more information. Hours of operation and contact information are provided below if you’re interested in learning more about The Fit Space in your local facility. Thank you again for choosing Dee Physical Therapy and we hope you will take advantage of everything our facilities have to offer!